When this bottle appeared in May 2017, the price tag read 10.000 yen. That’s about 80 EUR. Today, you’ll need to cough up at least double, which is a shame. Thanks to some good friends I was able to add it to the cabinet at the original price. On the nose I get plum liqueur, crème brûlée, banana flambéed, but here too the Japanese oak gives the signature incense and old temple scent. Very fruity and layered nose. 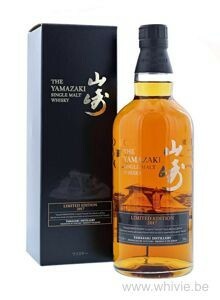 The fruitiness return immediately on the palate, supported by a lovely spiciness with ginger in the lead. Turkish Delight, red berries and cherries and something that reminds me of a Mars bar. It even has some smokiness. Could that be peated malt? The finish is not very long, but pleasing nonetheless. Indeed a great whisky, even better than the 2016 release. So what is the fuss about this age statement all about anyway? Thank you Marjam & Peter, for scoring this bottle in Japan for me! PS. 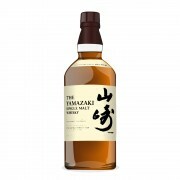 Rumor has it that Yamazaki will NOT release a 2018 Limited Edition due to lack of stock. Suntory Yamazaki 12 Year Old Incredible bang for the buck - a gem.